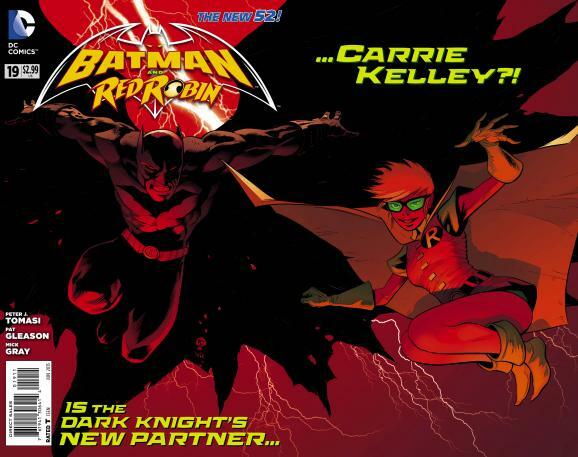 BAT - BLOG : BATMAN TOYS and COLLECTIBLES: Fresh BATMAN COMIC BOOK News about Carrie Kelley Robin and Man-Bat! 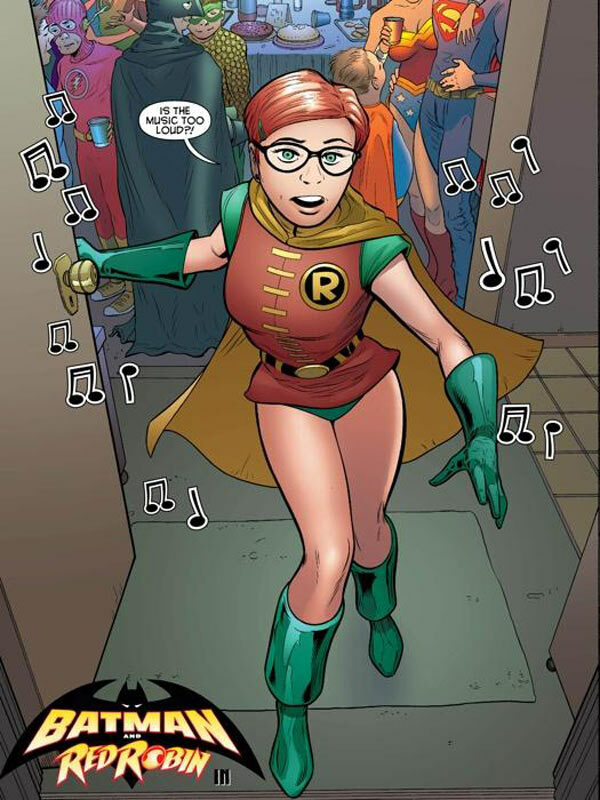 Fresh BATMAN COMIC BOOK News about Carrie Kelley Robin and Man-Bat! I was visiting the Official DC COMICS Website earlier this morning, just to see what new thing is going on with the Batman Comic Books, and look at what I saw!! First, Batman and Robin (Now called Batman and Red Robin?) has a special gate-fold cover and when you pop it out it reveals a "new" character... Carrie Kelley as Robin!! Let's hope this is not a spoof and they really have plans to bring her inside continuity. Then, for Batman Detective Comics #19 (which, if they had not screwed-up the page count with their famous "start over", this would originally have been issue #900 ) they have a special Variant Cover done by Tom Richmond of Mad Magazine fame. 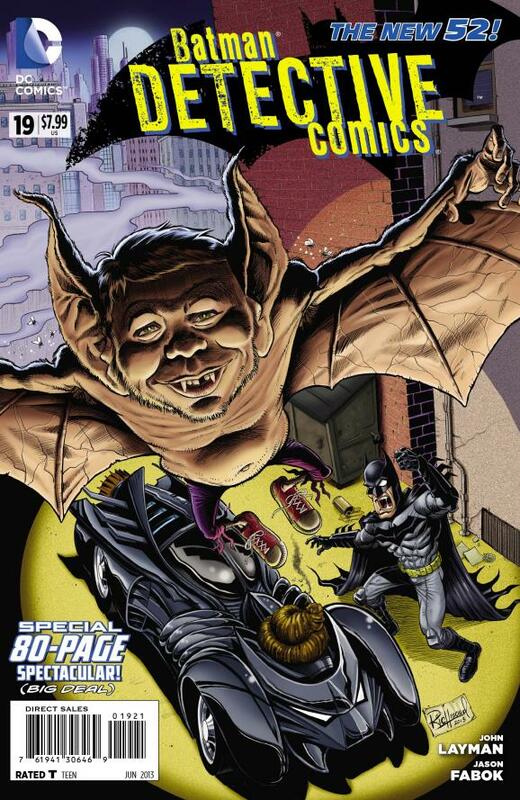 I mention, "MAD", because they have Alfred E. Neuman as Man-Bat. Plus, it looks like he took a huge dump on the Batmobile, ha ha ha! What?!! !